Caran d'ache, an expert manufacturer of pastels since 1952 are now offering a range of extra-fine dry pastels available in pastel pencils. This professional quality product is produced in their Geneva workshops with the close collaboration of international master pastel artists. Generous shading • Rich and vibrant colours offering powerful coverage • Pure Colours, ultrafine pigments • Exceptional lightfastness • Easy to sharpen with a cutter • Water-soluble, ideal for backgrounds • Stable with fixative. Caran d’Ache do not recommend that any pencil sharpeners are used with their pastel pencils, they advise that only a knife or blade should be used with these products. See additional images of sets to see which colours are included in each set. 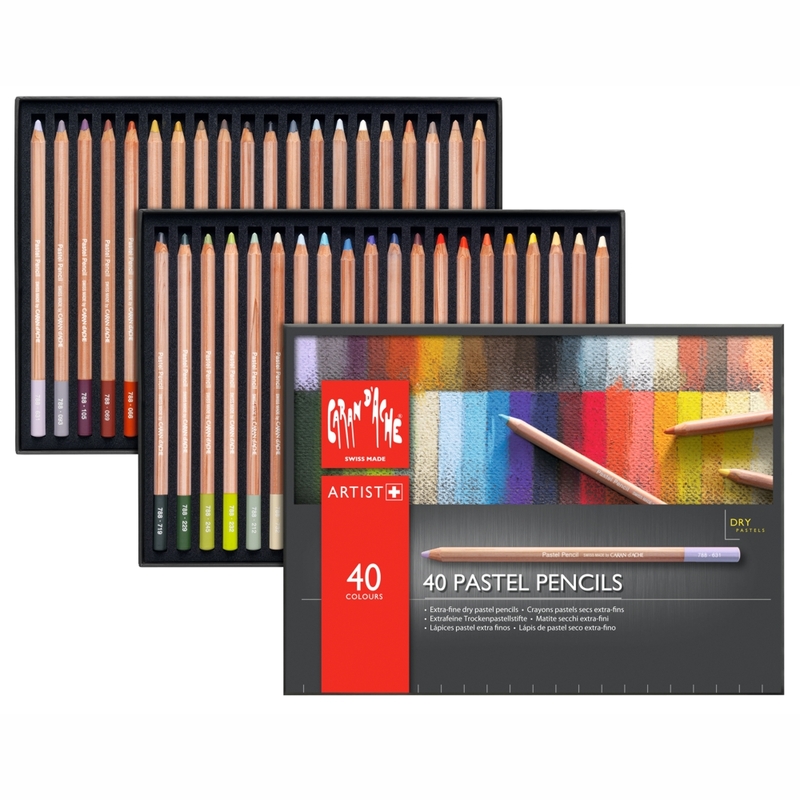 The assortment of 40 colours provides pastel artists with a large range of colours enabling them to create life-like models, animals, landscapes, flowers, still- life compositions etc. 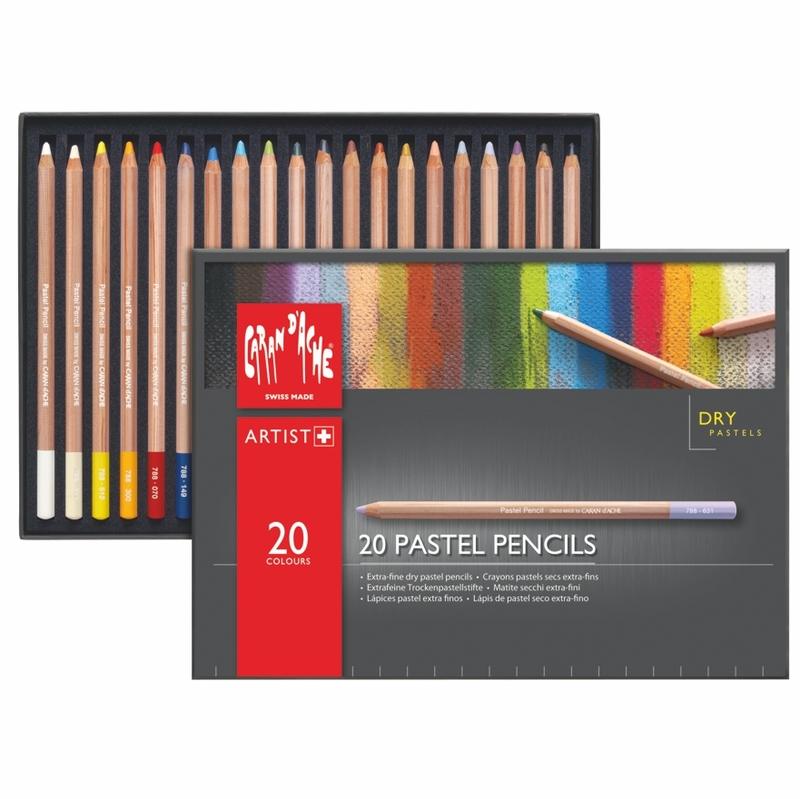 It is the ideal assortment for using all the creative possibilities of dry pastels. 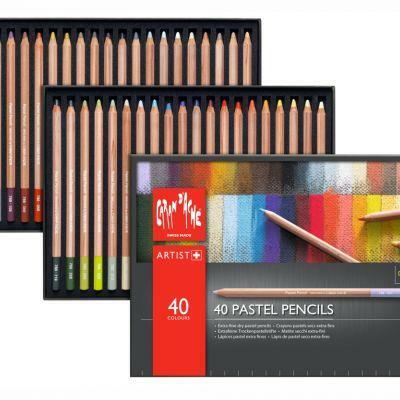 Contents : 40 pastel pencils - 631, 093, 105, 069, 066, 033, 035, 047, 046, 408, 009, 008, 003, 002, 901, 541, 044, 746, 741, 042, 719, 229, 245, 232, 212, 732, 161, 661, 140, 620, 149, 089, 070, 060, 571, 300, 512, 820, 821, 011. Assortment containing all the colours of the 12 pencils box (Ref. 788.312) and the 20 pencils box (Ref. 788.320). The assortment of 20 colours contains the essential colours for more elaborate work with a carefully selected range of warm and cold shades. Contents : 20 pastel pencils - 009, 408, 105, 631, 003, 042, 035, 066, 069, 719, 229, 232, 161, 140, 149, 070, 300, 512, 011, 901. All the colours of the 12 pencils box (Ref. 788.312) are available in this assortment, except 245 and 820. 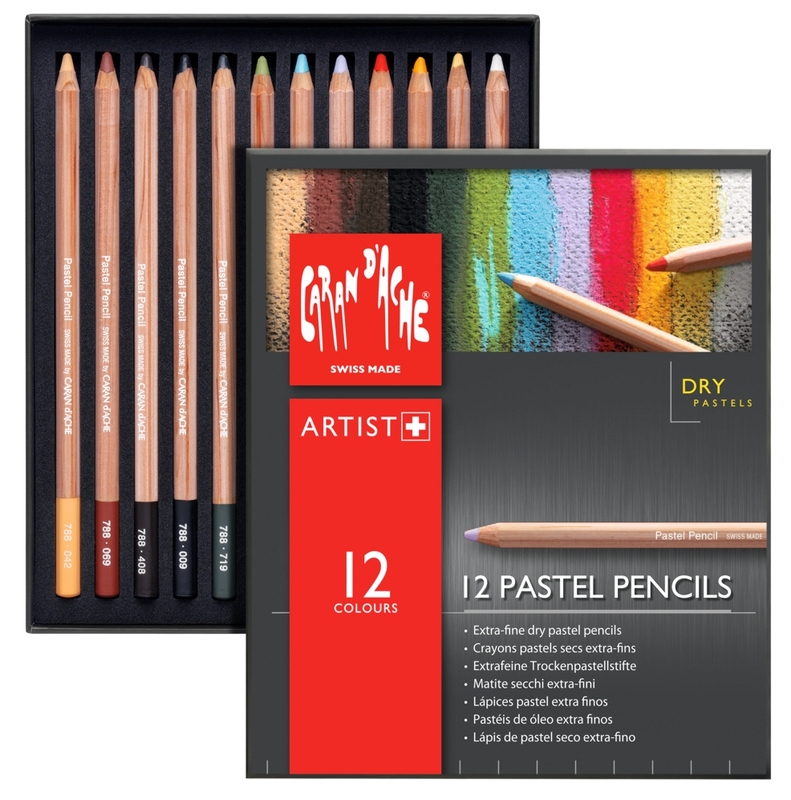 The assortment of 12 colours contains the essential colours for learning the art of pastels. This selection allows you to depict various subjects, such as landscapes or still lifes. Contents : 12 pastel pencils - 042, 069, 408, 009, 719, 245, 161, 631, 070, 300, 820, 901.